In a call with analysts regarding the company’s Q2 results, executives from Manulife and its American unit John Hancock revealed that they were “bullish” on the idea of implementing robo-advisors to better serve the company’s American clients. Specifically, John Hancock aims to introduce a new digital advice distribution channel so that it can reach more customers. “A vast number of American households aren’t getting the advice they need. They basically never had access to it. We view the new power of digital advice as a way to actually help people improve their financial outcomes very efficiently,” John Hancock interim president and CEO Michael Doughty explained. When asked whether the new channel could cannibalize the traditional advisor channel, Manulife ruled out the possibility. John Hancock hopes to use the digital channel as a way to steer clients toward a face-to-face meeting. Gori added that advisors are aware that much of the population is beyond their reach (in both the wealth management and insurance segments). 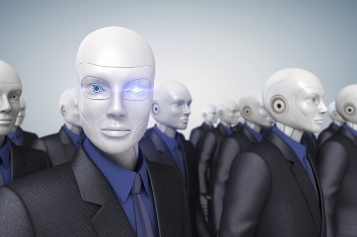 By implementing robo-advisors, their reach could be extended further. “Consumers want a face-to-face advisor, but also want to tap into digital tools any time, wherever they are,” he said. Manulife told The Insurance & Investment Journal that it was too early to tell whether it would also implement robo-advisors in Canada. “Manulife understands the vital importance of a strong advice channel, and we continue to evaluate consumers’ changing needs, to ensure that the channel performs well and meets those needs on an ongoing basis,” said media relations consultant Steven La Barbera. Could Manulife be about to spinoff John Hancock?